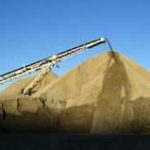 Fine and coarse aggregates,fine aggregate are inert materials mixed with a binding material like cement, lime or mud in the preparation of mortar or concrete. Fine and coarse aggregates shall consist of naturally occurring stones, gravel and sand and shall be hard, strong, dense, durable, clear and free from veins, adherent coating and injurious amounts of disintegrated pieces and deleterious substances. 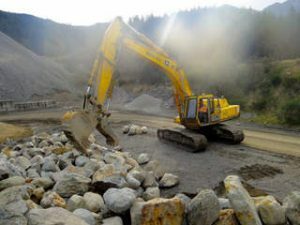 Aggregates shall not contain in excess harmful materials such as pyrites, laminated material, alkali, sea-shells, organic impurities and those which may attack the reinforcement. Aggregates shall not be chemically reactive with alkali of cement. Depending upon the size of their particles the aggregates are classified as fine aggregates, coarse aggregates and cyclopean aggregates. Redistribution of aggregates after compaction often creates in-homogeneity due to the influence of vibration. This can lead to strength gradients. Decorative stones such as quartzite, small river stones or crushed glass are sometimes added to the surface of concrete for a decorative “exposed aggregate” finish, popular among landscape designers.